As you look through house plans for your dream home, is a fireplace, with its requisite chimney, among your must-haves? Bungalow, Craftsman, and Colonial house plans are styles likely to sport a chimney for your fireplace or woodstove. And as temperatures drop, what could be nicer than sitting in front of a fireplace watching TV or reading? It’s best to start fires using dry kindling and clean newspaper. Never use gasoline, kerosene, or other chemical fire starters like charcoal lighting fluid to start a fire indoors. You CAN use fire-starter sticks or blocks made especially for starting wood fires in stoves and fireplaces, however. You will find them sold with fireplace and woodstove accessories in home centers. Burn only seasoned, or cured, dry wood – hardwood rather than softwood. Wood takes approximately 6 to 12 months to season. Make sure the logs are larger rather than smaller and are split to burn more efficiently. Never burn cardboard. And while it may be tempting to burn your Christmas tree instead of recycling it—don’t. There is way too much creosote in the green conifer wood. Build the fire slowly, adding wood as the fire heats up. If you have an adjustable damper, keep it fully open as the fire builds to maintain a good draw up the chimney. You can damp the fire down once it is burning with a powerful flame. Burn the fire hot with the damper fully open at least occasionally to prevent creosote from developing due to lingering smoke. Get your chimney inspected – the Chimney Safety Institute of America recommends annually but at least every few years – and cleaned regularly by a chimney sweep, preferably at the end of the season and before summer. He or she should be certified as an expert in removing excess creosote—leftover particles and condensed vapors from burning wood – and soot from the inside of the chimney. (The CSIA has a list of 1,500 chimney professionals with certification from the organization.) Creosote is flammable and the number-one cause of chimney fires. Although soot is not flammable, it can restrict airflow significantly if the buildup gets to thick (1/2 inch or more) and can damage the flue because it is acidic. 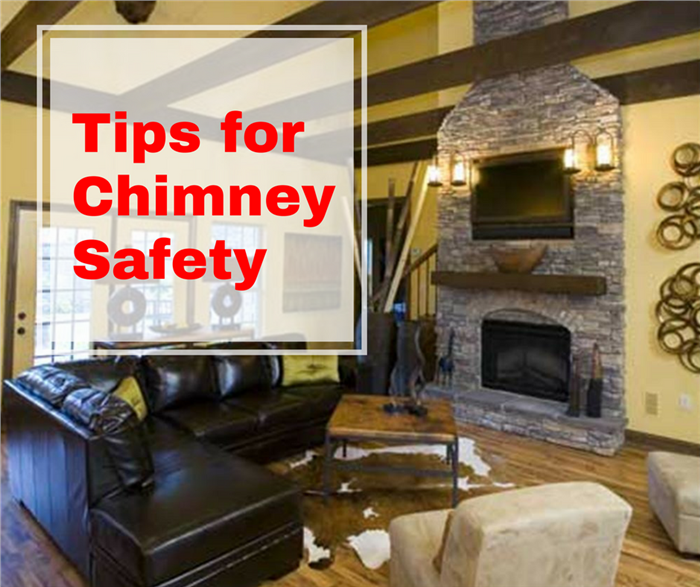 If you have a metal stovepipe, or chimney, make sure it has enough clearance to work safely. There should be at least 18 inches between the chimney and the nearest combustible material. Be sure your chimney has a chimney cap and that it is in good condition. Chimney caps prevent rain and snow from entering the chimney flue and keep animals – especially birds – and leaves out of your chimney to prevent obstructions. Try to use your fireplace or stove daily, especially if you have a metal chimney. By burning your stove or fireplace on a regular basis, it remains hot enough to help prevent creosote from building up. There are thermometers available that attach to metal stovepipes to measure the temperature. You want the temperature to be between 250 and 500 degrees F. Once you get into the range of 500 to 900 degrees, the stovepipe is too hot and you may be wasting fuel. Over 900 degrees F may indicate a chimney fire. Install smoke and carbon monoxide alarms, at least in the same room as the fireplace or wood stove. Change the batteries at least once a year, even on hardwired alarms, which use the batteries as backup if the power goes out. Footnote: the lead image shows a fireplace and chimney in the beautiful family room of a 4-bedroom, 2.5-bath Craftsman home plan (House Plan #153-1781).